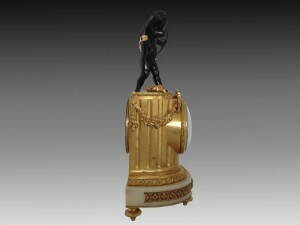 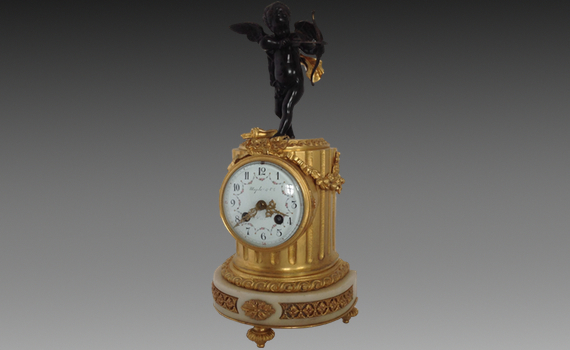 A late 19th century, french, carrera marble and gilt bronze mounted mantel clock. 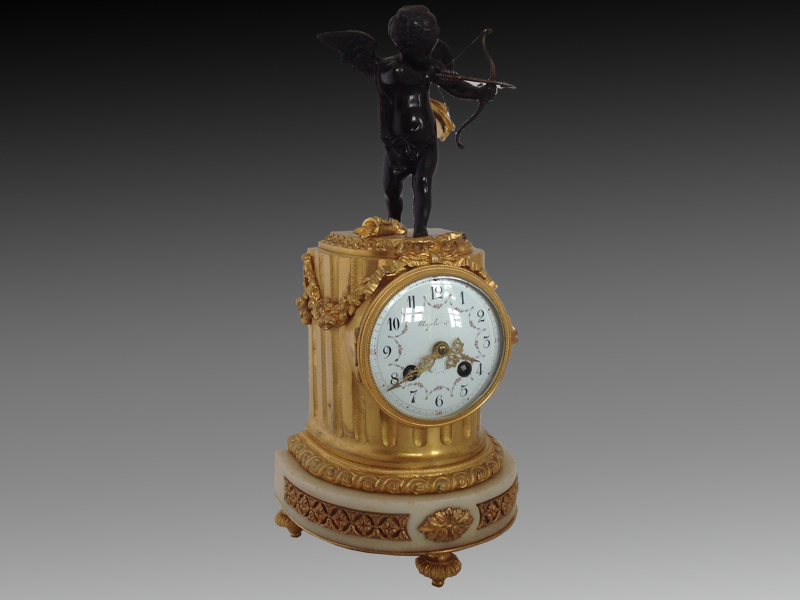 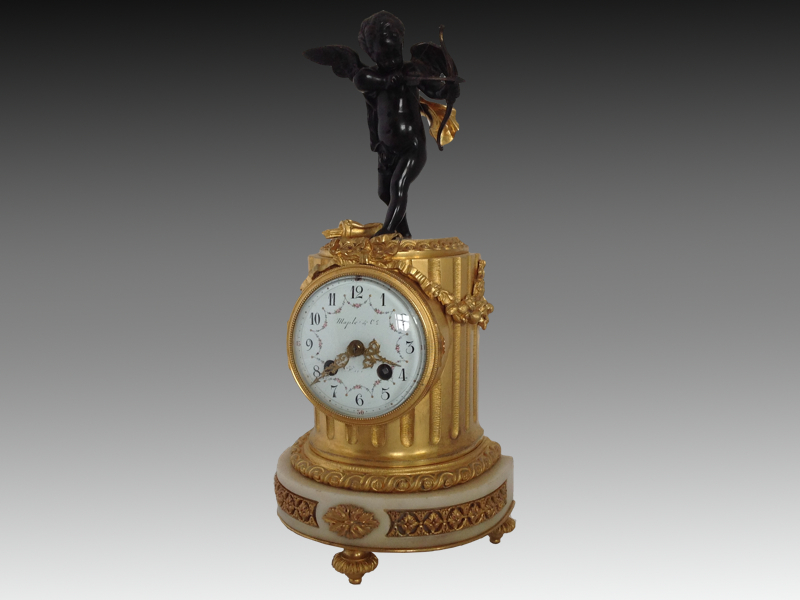 The patinated bronze figure of Cupid arming, his quivers at his feet, standing above a circular enamelled dial painted with arabic numerals and floral swags, inset a fluted case hung with floral swags and standing on a marble plinth with toupie feet. 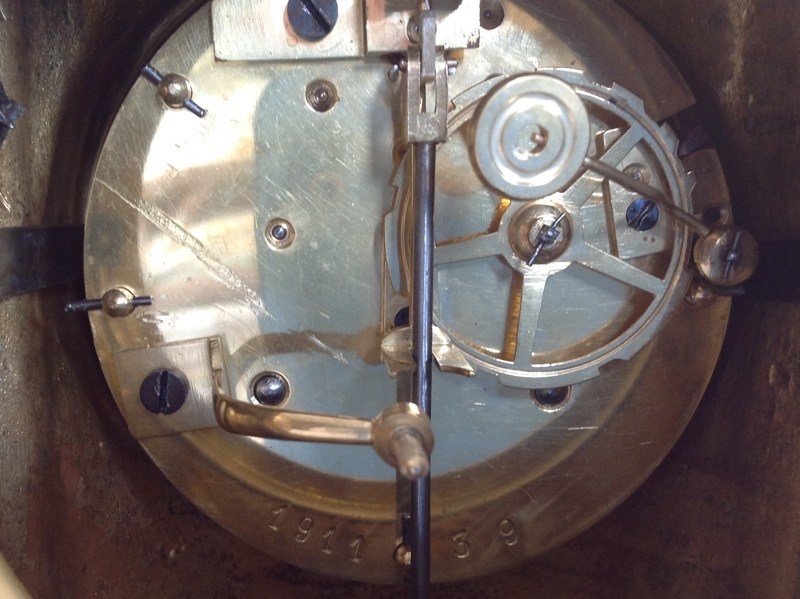 The eight day movement with brocot suspension, striking the hour and half hour on a bell. Pendulum and movement numbered 1911.